The following are the main stories featured in Thursday’s newspapers. Times of Malta says that according to official data, foreign students from pre-primary to secondary school level have more than doubled in five years and exceeded 5,000 by the end of the 2016/17 scholastic year. In another story, it says two high-rise hotel applications in Paceville and Qawra are slated for approval by the Planning Authority. 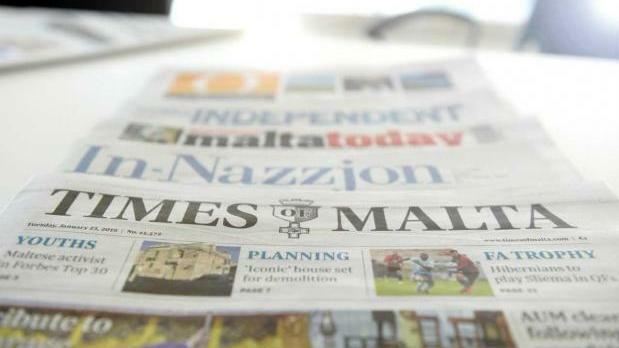 The Malta Independent quotes the National Audit Office saying that the majority of pensions are not being reassessed due to a lack of resources. L-Orizzont says Malta will have a new mental hospital by 2025. In-Nazzjon quotes Nationalist Party leader Adrian Delia saying the people were paying for the country's corruption.